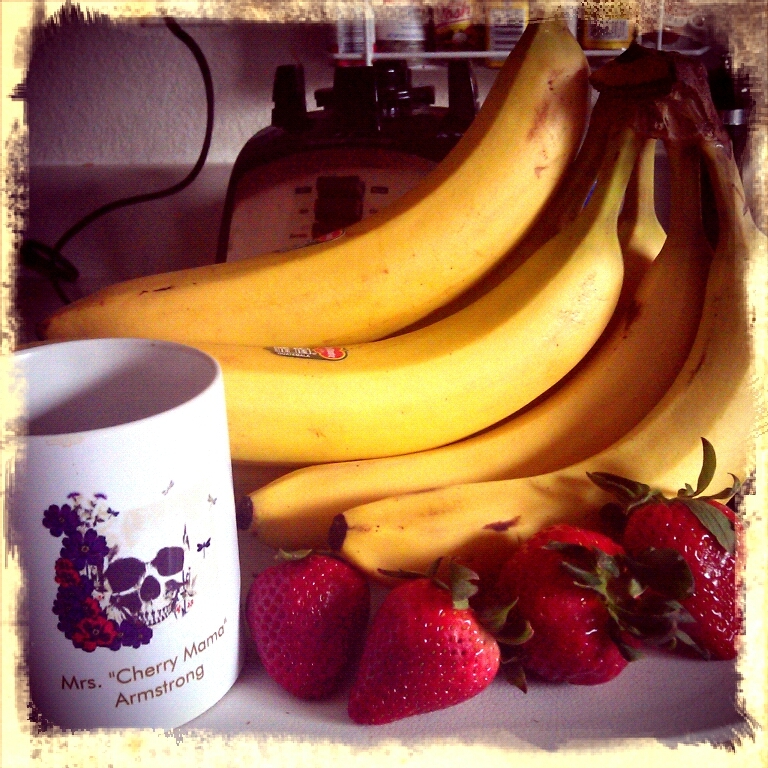 The Cherry Mama: Fruity Protein Breakfast, and yes, caffeine. 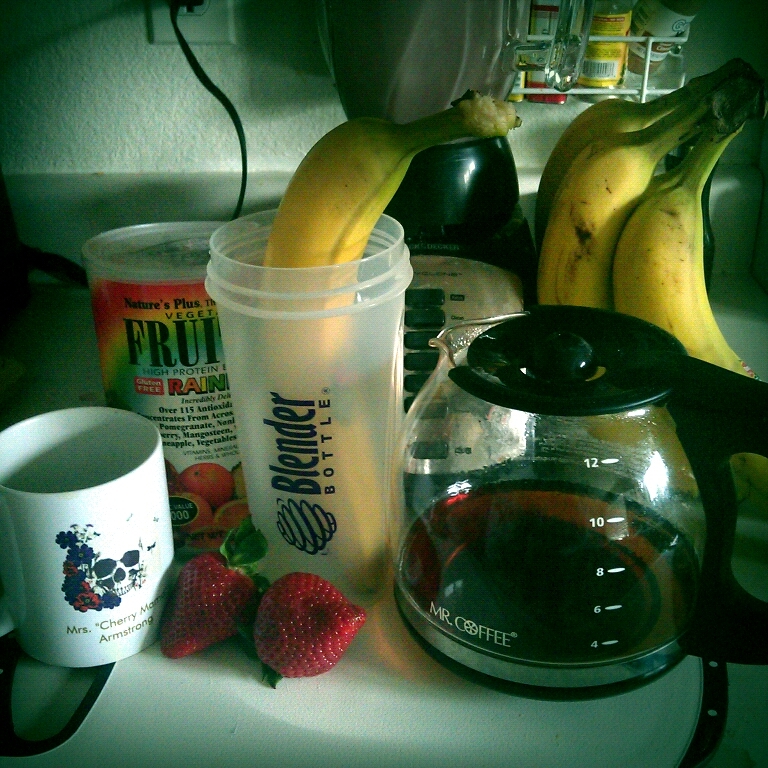 Fruity Protein Breakfast, and yes, caffeine. I totally forgot I have my Fruitein , just sitting in my pantry. Silly me I forgot it was a high protein energy shake. Yeah, time to mix it up, and blend it up. I highly recommend this for when you are sick of Vanilla and Chocolate Protein shakes. As summer comesit's time to lighten the flavor woth more fruit. I found a lot of other chocolate and vanilla protein shakes have a strange after taste. That's why I started blending them into shakes! Now carrying the tradition of caffeinated breakfast shakes heres one I threw together this morning. When I am not in a rush, aka I remembered to order before I run out I will always try to get Natures Plus. Fruitein is an all-natural vegetarian blend of complete protein and complex carbohydrates. In addition to providing 100% of the Daily Values for all vitamins and most minerals, each delicious glass of Fruitein supplies a complete profile of enzymes in a highly nutritious whole food and herbal base, including spirulina, Korean ginseng, Spanish bee pollen, young barley leaves, oat bran, pineapple, papaya, and a variety of other fresh fruits, vegetables and herbs. Mix with water or milk. Hand full of strawberries, any berries! Well my kidlets are up (I know! they slept in. Bonus, look I am writing) time to go put my drink to the test!